I weaken all people for hours each day. I show you strange visions while you are away. I take you by night, by day take you back, none suffer to have me, but do from my lack. 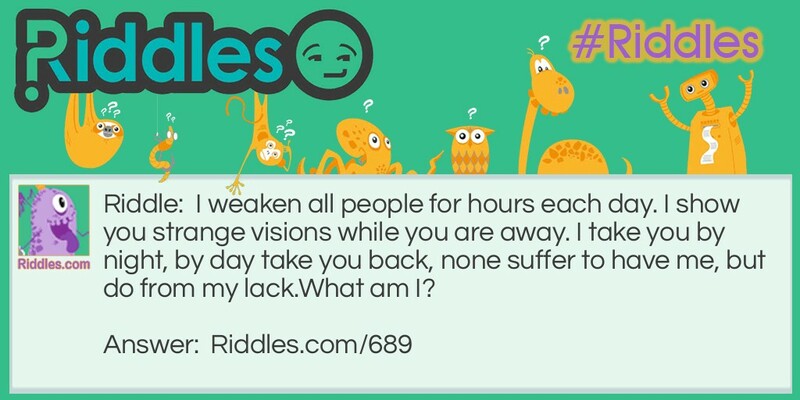 Taken by night Riddle Meme with riddle and answer page link.